Its sometimes hard to match the quality of your image with your finished print. 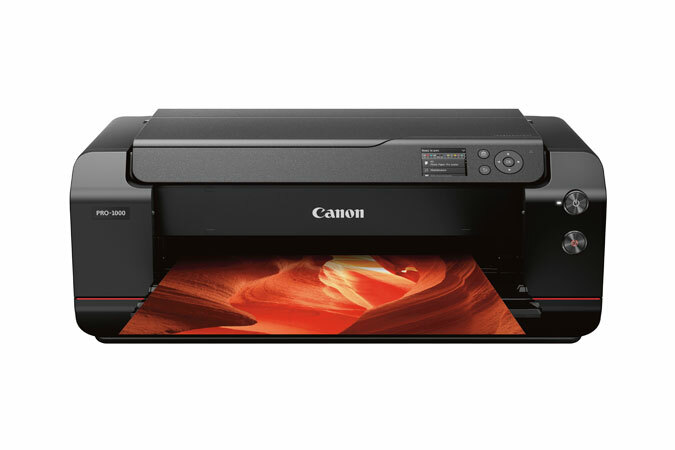 Now, a new standard of desktop inkjet printer has been established with the Canon imagePROGRAF PRO-1000. 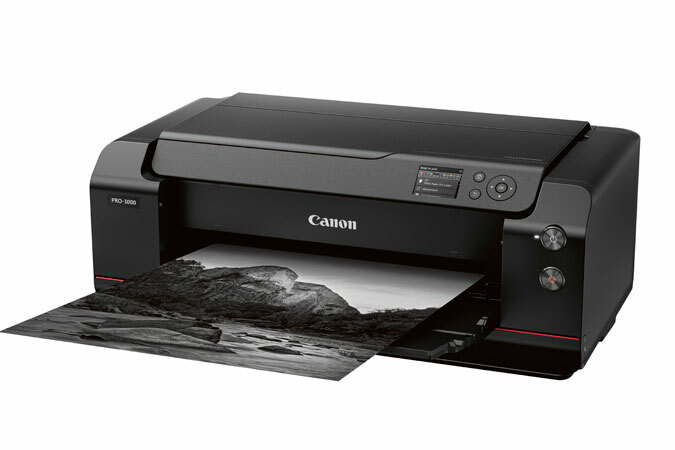 Canon has built on years of credentials in both photography and print to develop core technologies in print head and inks that can deliver professional, quality prints up to A2, exactly the way you envisioned it. • The FINE print head institutes a tubular ink delivery system. This generates faster print speeds and reduces the possibility of clogging. Additionally, ink ejection conditions are precisely checked with sensors, and if a clog is detected, another nozzle automatically provides backup. In addition to preventing wasted prints due to clogging, this also reduces the frequency of which nozzle cleaning is required. • The LUCIA PRO 11-color plus Chroma Optimizer ink system satisfies the demands of the most critical photographer or graphic artist. Denser droplet placement provides a broader color gamut and improved gloss uniformity for superb glossiness and anti-bronzing. Incredibly accurate color reproduction, outstanding image clarity, and enhanced detail in darker areas distinguish each print. On fine art papers, higher black density renders even the finest shadow detail, for a print that becomes a work of art. 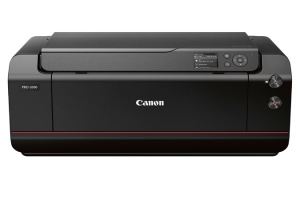 • The Canon Air Feeding System prevents each page from skewing for accurate ink placement, regardless of paper type. A series of openings located on top of the platen vacuum-grip the paper as it feeds through the printer. The Air Feeding system creates a printing environment that keeps a consistent height between the print head and the media being used. Variances in height can occur due to paper curl or variations in temperature and humidity. A consistent level surface leads to remarkable ink droplet accuracy and improved image quality. • On other printers, switching from Matte Black to Photo Black consumes a significant amount of ink and time. The imagePROGRAF PRO-1000 is designed to work seamlessly when changing media types. Matte Black and Photo Black inks have their own dedicated nozzles, so no switching is necessary. You can print on fine art paper then glossy paper with no worries, no changes, and no waste.